When planning for your future, it can be difficult to decide which investment solutions are right for you. Oftentimes, when we think of investing, Wall Street first comes to mind. However, there are other ways to plan for your future and, at the same time, diversify your portfolio. David Moore of IRA Advantage discusses IRA retirement solutions, specifically, IRA investing in real estate. So, when we’re talking about IRA retirement solutions, and we talk about self-directed IRAs, really the solution they’re offering is just further diversification. If you look at a basic IRA, or basic 401K plan, you’re limited solely to Wall Street’s offerings where, if you’ve got a truly self-directed retirement account, it’s going to allow you to buy anything the law allows. How would IRA investing in real estate be a part of that? So, when clients come to us they’re typically looking for other options. They want to further diversify their investment portfolio, they want to do it for stability. That diversification is going to include real estate or notes or maybe it’s precious metals, something that is not on the normal Wall Street menu, and they come to us because it is the IRA retirement solution they want. It’s going to give them that opportunity, and any investment advisor is going to be preaching that you should have a diversified portfolio. We at IRA Advantage do not offer investment advice. We don’t sell investments. We merely provide the investment vehicle our clients are looking for to give them that diversification that they desire. 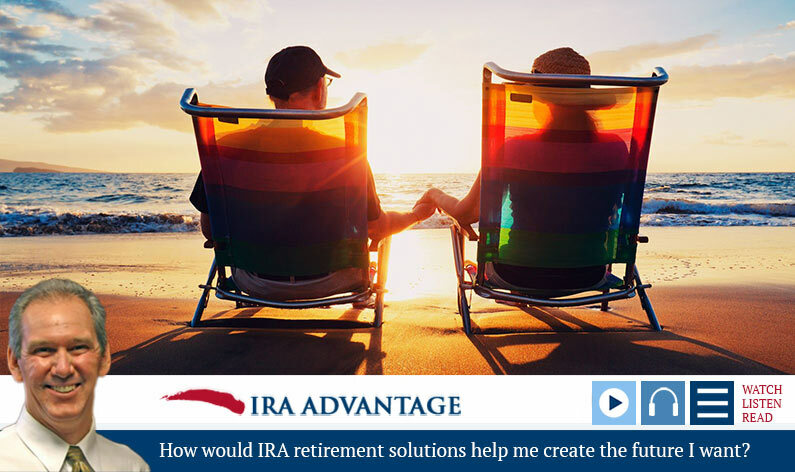 So, once again IRA retirement solutions, really, it’s just a question of what kind of structure you’re going to use to get you in a place that allows you to make the investments you want to make, and IRA Advantage is equipped to provide those IRA retirement solutions for you.